South African Minister of Foreign Affairs, Dr Nkosazana Dlamini Zuma, addressed the United Nations General Assembly yesterday in New York. Dlamini Zuma said the world has witnessed the devastating effect of climate change and urged those at the assembly to respond urgently. Foreign Affairs have set out an urgent plan in Bali last year to combat climate change. Dlamini Zuma continued by saying that South Africa has committed itself to approach the preparations for Copenhagen constructively, and to reach an agreement that is ambitious, balanced and conclusive. The African National Congress has acknowledged the contribution made by the former premier Mbazima Shilowa who resigned as premier of Gauteng on Monday. The party said that Shilowa should be replaced without delay.ANC liaison officer Brian Sokuthu said that the ANC national working committee has thanked Mr Shilowa for the contribution he has made over the last nine years as premier of Gauteng. Meanwhile the Independent Democratic leader Patricia de Lille has invited Shilowa to join her party. De Lille says Shilowa can contribute to the well being of the country in terms of transformation instead of wasting his talent. De Lille says Shilowa's resignation is evidence of deep divisions within the ANC, as the purging of Mbeki had come through what she termed the “Jacob Zuma camp”. In Cape Town Traffic Services’ stepped up road safety campaign, a total of 19 motorists driving under the influence of alcohol were arrested over the past weekend. Roadblocks were held in Hout Bay, Camps Bay and the city centre and Traffic Services now shifted their attention to the Claremont area to curb drunk driving. “During the weekend’s blitz 15 drivers were fined for driving without a licence, three for not displaying registration plates and 49 for unlicensed motor vehicles. A further 17 other driving related offences were also recorded. "These roadblocks are part of the City’s on-going safety campaign to make Cape Town’s roads safer.”, says Traffic Services spokesperson, Merle Lourens. Lourens says motorists who drive drunk and cause accidents do not only face heavy fines or prison sentences, but also have to live with the guilt associated with such incidents. On the 2nd October, POPCRU Gauteng will march to the offices of the MEC for Community Safety and Liaison, Mr Firoz Cachalia to submit a memorandum raising a wide range of concerns. The issues that will be raises will be salary increases and Racism within the SAPS in Gauteng. Cape Town Partnership is on a major mission as they intend to give the City will get a facelift, in time for the 2010 FIFA World Cup. The Grand Parade and the area surrounding the City Hall will all form part of the upgrade. Cape Town Partnership CEO, Andrew Borain, says thanks to the new urban renewal, a number of businesses will be opening their doors. Borain said the demolition has begun on the old Moulin Rouge in Riebeeck Street and a huge investment by the City council will eneble them to upgrade most of the City’s spaces. The African National Congress says Gauteng premier Mbhazima Shilowa's resignation today was his own decision. Earlier, Shilowa denied that he had been "pushed" to resign but said he was doing it out of principle. He says he would not be able to, with conviction, publicly explain or defend the ANC national executive committee’s decision on axe former president Thabo Mbeki. Shilowa was qouted saying he holds strong views on Mbeki’s dismissal and to pretend otherwise would be disingenuous. Priemer spokesperson says the premier was not forced to resign but it was his own decision, he added that the recall of Mbeki was not fair. The Democratic Alliance has asked new Health Minister, Barbara Hogan, to put a stop to the disgraceful secrecy surrounding the deaths of many babies in the Eastern Cape. DA spokesperson on Health, Mike Waters, said the history of this report is a snap-shot of everything that was wrong with the previous health administration. Minister of Foreign Affair Dr Nkosazana Dlamini-Zuma will later today deliver South Africa’s statement to the United Nations General Assembly in New York. The Minister is in New York leading the South African Government Allegation including Foreign Affairs Doctor General Ayanda Ntsaluba. South African is now in its second year office of non-permanent membership of the Un secretary council. #The Cape Town Child Welfare offers arts and crafts training courses from Mondays to Thursdays at their head offices in Gatesville from 9am to 2pm. Training will include candle making, soap and bath salt making, basket weaving and sewing. For more information you may contact Maureen Skilder or Desiree Uys at Cape Town Child Welfare on 021 638 3127. # Northwood Primary School in Woodlands will celebrate 30 years with a string of events including a Back to School dance on Saturday October 11th. Tickets for the dance will cost you R50 each. All ex-learners and educators, parents and community members are invited. For more details, you may contact the school on 021 371 7510. # The Douglas Murray Home will be hosting a fete on Saturday October 4th at 9am at the home in 12th avenue Retreat. Entry is free, For more information you may contact Sharon Mackrill on 021 712 2146. # Mitchells Plain Young Tycoon promotions will present Tillie and Tippie se Hairdresser on the 10th of October from 7:30pm at the Westridge Civic centre. Entrance fee is R45. For more information you may contact Nazeem on 079 9255 441. If you have any information for the CIN team regarding events happening in you community, please feel free to contact us on 021 4485450 or fax us on 021 448 5451. Alternatively you can email us on news@bushradio.co.za. If you have missed any of the numbers mentioned you can give us a call. The Democratic Alliance has identified ten key priorities for newly appointed Safety and Security Minister, Nathi Mthethwa. DA’s spokesperson on Safety and Security, Dianne Kohler Barnard, said an effective plan to tackle crime must be one of the new government’s top concerns. Kohler Barnard said they will be monitoring the new minister’s attention to these priorities closely. First on the list is a call for Mthethwa to immediately dismiss suspended National Police Commissioner Jackie Selebi. The DA has also called on the new minister to reinstate the Scorpions. The Democratic Alliance has asked the new Health Minister, Barbara Hogan, to investigate the shortage of vaccinations and critical medicines in Limpopo. The DA says that over the years, they have sent numerous requests, to former health minister Manto Tshabalala-Msimang, but their requests have been ignored. The DA’s spokesperson on Health, Mike Waters, said that during his visits to some hospitals in Limpopo, he discovered that basic medicines were not available. Eskom has warned consumers that the electricity crisis is not over. Eskom has ensured that if consumers use power wisely and co-operate, there will not be any load-shedding during the summer. This follows a winter that was almost free from power outages. The electricity distributors said because of a low reserve margin, the electricity supply remains strained. Fanie Zulu, an Eskom spokesperson, urged consumers to reduce their electricity consumption, in order for them to meet increasing demands. Eskom and the government will embark on an awareness campaign soon, to encourage South Africans to use electricity sparingly. The Azanian People’s organisation will hold a Memorial Service and a March for Justice today, to commemorate the 31st Anniversary of Steve Biko’s death. After the memorial service, the march will proceed to the Johannseburg High Court, where they will hand over a memorandum of demands, demanding the court open the murder dockets of the liberation fighters, who perished under the hands of Apartheid policemen. Kepadisa also added that the authorities should call on the perpetrators to come forward and account for their deeds. It has been reported that Deputy Foreign Affairs Minister Aziz Pahad has resigned in writing to newly appointed President Kgalema Motlanthe. Pahad turned down the president’s decision to re-appoint him in his post. He handed in his resignation on Tuesday, to then President Thabo Mbeki, along with several other cabinet ministers. He says due to an unfortunate communication problem, President Motlanthe announced his re-appointment on Thursday. Pahad says he’s come to the decision after concluding that Judge Chris Nicholson’s judicial activism has led him to conclude that former President Mbeki and his entire cabinet interfered politically in the work of the National Prosecuting Authority. He says given the serious nature of the claims, he will not enable him to serve in the executive. Double Formula One champion, Fernando Alonso, has recorded the fastest time during the second practice of the Singapore Grand Prix last night. The Spaniard piped his former team-mate Lewis Hamilton, who recorded the fastest time during the first practice session. Alonso sped through the twisty Marina Bay circuit to record a time of 1min 45.65 seconds, 0.96 seconds faster than Hamilton. The street-lit circuit proved to be harsh on others, as Australia’s Mark Webber crashed into the barriers during his first practice session, while the last Grand Prix winner Sebastien Vettel, lost control of his car twice. Former President Nelson Mandela has congratulated newly elected President Kgalema Motlanthe on his appointment. Mandela, in a congratulatory letter sent to the Union Buildings, said South Africa was in good hands. Mandela described Motlanthe as a quiet, firm and principled leader who puts reason above emotions and one who seeks to unite rather than divide. Mandela also expressed his deep appreciation of the service rendered to the country by outgoing President Thabo Mbeki. Meanwhile President Motlanthe has assured the world football governing body, FIFA of the government’s ongoing backing of the Confederations Cup and 2010 World Cup. Mothlanthe and ANC President Jacob Zuma in a joint statement say they gave the assurance to FIFA president Sepp Blatter in a telephonic conversation yesterday. Motlanthe gave his assurance that the deadlines set by FIFA will be met. Blatter in turn reassured Motlanthe of FIFA’s hundred percent support and assistance in the preparation and its full confidence in South Africa’s organisational capabilities. Good news for motorists as government has announce another petrol drop for the third consecutive month on Wednesday. The drop will be between 25 cents and 29 cents a litre. The wholesale price of diesel will drop by 55 cents and 56 cents a litre. The latest decrease will bring the drop of petrol prices to about 12% since July. The Democratic Alliance leader Helen Zille says where crime is concerned President Kgalema Motlanthe can send a powerful message to South Africans by distancing his government from the denialism that characterised crime fighting under Thabo Mbeki. Zille said this in her weekly letter to the President and his new Minister of Safety and Security, Nathi Mthethwa, must work to bring down levels of crime, improve conviction rates, and expedite the review of the criminal justice system. Zille says in the health portfolio new minister Barbara Hogan’s challenge is to rid the Ministry of the last vestiges of denialism that sowed confusion about how HIV/Aids is transmitted. She says this attitude prevented the universal rollout of antiretroviral medication, and diminished South Africa’s reputation internationally. The political parties in South Africa have welcomed the appointment of the African National Congress’s deputy president as the countries interim president till next year when South African’s elects their new president. The Independent Democratic leader Patricia de Lille says President Kgalema Motlanthe faces major challenges in uniting the ANC and getting the country focused. On the other hand United Democratic Movement leader says six month is a very short period to assess the performance of Mr Motlanthe and that the removal of former president Thabo Mbeki was sheer madness. Meanwhile the African Christian Democratic Party has welcomed Motlanthe’s election.ACDP leader Rev Kenneth Meshoe, describes Motlanthe as a cool level headed person who is not aggressive and has respect for others. The DA welcomes he fact that former Health Minister Manto Tshabalala-Msimang has been fired given that so many people have died due to Aids because of her strange policies. The DA is happy that Minister Hogan has been appointed to replace her and they look forward to having a fruitful relationship with Hogan. However there are areas of concern that need to be looked at. Human resources remains a huge challenge in the health sector. There are 46 000 vacant nursing positions and 9 700 vacant doctor and specialist positions in the public sector. “We believe that the Minister must do all in her power to ensure that new nursing colleges are opened and that we start attracting skills from over-seas. Lastly the DA feels that Minister Hogan should release the full report into the 142 baby deaths that occurred in the Eastern Cape earlier this year. Yesterday afternoon a 22 year old woman was arrested for Murder shortly after the body of her newborn baby was found. Municipal workers were busy collecting waste in Barry Road, Monwood yesterday at about 11am when a woman approached them with a black bag. The woman allegedly gave the bag to the workers and walked away. Later the workers searched the bag and discovered the body of a newborn baby boy. While most Capetonians were celebrating Heritage Day, the City of Cape Town’s substance abuse unit swooped on a suspected drug dealer in Milnerton, arresting one of the city’s leading drug suppliers. The unit confiscated nearly R270 000 worth of drugs and about R4 000 in cash, which were found in his possession. "This major breakthrough is due to the commitment and hard work by the City’s substance abuse unit, supported by the South African Police Service," says Glen Kleinsmith, head of the political oversight team. With the help of SAPS, the substance abuse task team is intensifying its efforts to hit at the source of drug supplies. Improved co-ordination is paying off and more drug dealers are being arrested and their drugs being confiscated. Kleinsmith says the Cape Metropole is under siege especially in areas such as Manenberg, Athlone, Mitchells Plain, Atlantis, Delft, Macassar, Elsies River, Bellville South and Steenberg. "Areas such as Hout Bay and Milnerton are also suffering from the onslaught of teen addiction. Substance abuse was so rife at one high school, that the task teams was called to raid 12 classrooms and search all 540 learners." Rain clouds and stormy weather took a backseat in Cape Town as South Africa’s President was sworn in today. Kgalema Motlanthle received 269 votes in Parliament yesterday and was declared interim President while main party rivals, The Democratic Alliance’s Joe Seremane received 50. DA leader Helen Zille said the DA nominated Seremane because the ANC has taken someone who was not elected and they felt it was best to put out an alternative candidate. Zille believes the division in the ANC will get worse. Independent Democrats leader, Patricia De Lille, seemed more optimistic about the newly elected president and the ANC’s future. Motlanthe also announced his new Cabinet today. Kgalema Motlanthe announced his new cabinet moments ago, making a few surprising changes and selections. Outgoing President Thabo Mbeki bid farewell to his cabinet at the Union Buildings last night. Mbeki read out a letter to the men and women that served with him. In the letter he writes, “I am certain that during the years that we have served in the national executive we have made mistakes”, and says the only way they could have avoided mistakes is if they did nothing to strive to social transformation of the country. In his heartfelt letter Mbeki thanked his cabinet for their hard work and dedication. He goes on to say, “as we bid farewell to one another we can do so with our heads held high”. After the Farewell Cabinet meeting of the Mbeki government, a few hours before South Africa welcomes it’s new President. Cabinet Ministers leaving the Union Buildings in Pretoria seemed to be high in spirits but speaking in his personal capacity outgoing Minister in the Presidency Essop Pahad’s disappointment was obvious. The South African Congress of Trade Union has welcomed the election of Kgalema Motlanthe as interim president for South Africa. Cosatu spokesperson Patrick Craven says Motlanthe is a better suited candidate that can unify the ANC and the whole country .He adds that Motlanthe comes from the trade unions and has worked closely with Cosatu over many years and we are confident that he will do well. Meanwhile the Democratic Alliance spokesperson Motlajo Thetjeng says Motlanthe is a better candidate for the ANC but we are not sure that he can unite the ANC because it is a party that has been fractioned by divisions. As part of ongoing efforts to apprehend motorists with outstanding warrants of arrest for traffic fines, Cape Town Traffic Services conducted a successful operation at the N2 weighbridge in Somerset West. A warrant of arrest will be issued in their names and the Operation Reclaim team will go out and try and find or allocate those with warrants issued in their names. The ceremony will take place at the Cape Town Civic Centre. The provincial elective conference of the ANC in the Western Cape was once again delayed today. The party has denied that this is because supporters of President Thabo Mbeki and former premier Ebrahim Rasool are boycotting the conference in the Cape Town international convention centre. It is reported that the breakaway group is holding its own conference in Langa, making it impossible for the conference in the City to get underway. ANC leader Jacob Zuma was expected to address the elective conference. South Africans will be celebrating Heritage Day across the country today. It is the culmination of Heritage Month, which this year carried the theme “Celebrating our Dance, our Heritage.” Deputy President Phumzile Mlambo-Ngcuka, who announced her resignation this week, will deliver a keynote address today at the national celebrations at Maropeng at the Cradle of Humankind in Gauteng. Meanwhile in the Western Cape, Cultural Affairs and Sport MEC Cameron Dugmore witnessed local cultural artists performing the indigenous West Coast Riel Dance in Vredendal. The backyard dwellers have been heavily affected by the rain and are seeking alternative resident. The heavy rain left two hundred and fifty house flooded with rain. The backyard dwellers have now gone to community hall to seek shelter. As a result the community halls are full and the backyard dwellers have urged the public to donate medical supplier and the material to rebuild their homes again. Western Cape Anti Eviction co-ordinator Mncedisi Twalo says we have children to consider as the community halls are over crowded and it’s difficult for so we need all the help we can get. An increasing number of motorists are risking driving under the influence of alcohol in Cape Town. 11 drunken drivers were apprehended over the past few days in the city centre and in Camps Bay by Cape Town Traffic Services. Cape Town Traffic Services spokesperson Merle Lourens says far too many road accidents are related to drunk driving, especially late at night or in the early. As part of an on-going road safety campaign, traffic officers will increase their patrols between 9pm and 1am. The Traffic Department is urging members of the public to report any reckless driving to 0860 POLICE (0860 765 423). The Democratic Alliance intends to nominate Federal Chairperson, Joe Seramane as a likely candidate for President on Thursday. The DA believes Seramane has the vision and wisdom to lead. The DA’s Lindiwe Mazibuko says Seramane draws on a long history of politial activism and leadership. 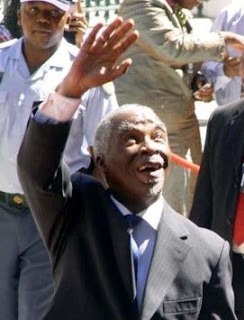 He was imprisoned on Robben Island from 1963 to 1969, before being ‘deported’ to the former homeland of Bophuthatswana. He was detained without trial between 1976 and 1978, and again on several occasions between 1982 and 1984. He joined the Democratic Party in 1994, conscious of the need for a strong opposition party to consolidate democracy in South Africa, and has served as a Member of the National Assembly since 1999. He was elected Federal Chairperson of the DP in March 2000, and became the founding chairperson of the Democratic Alliance on its formation. It has been reported that the resignations will be effective from the date of Mbeki’s resignation. All the affected people have vowed to help with a smooth transition to the next administration. There have been many mixed feelings flying around concerning the resignation of the President. Some parties feel that it was a wise move by the ANC and some feel that the idea of a recall was not at all a wise idea. The African Christian Democratic party says it is not happy about the way Mbeki has been pushed out by supporters of the Zuma faction. The party says it believes that Mbeki should have been given a chance to present his case particularly after he denied interfering with the National Prosecuting Authority. ACDP leader Rev Kenneth Moshoeshoe says Mbeki made a huge mistake by not speaking to his party the African National Congress because he had all the warning signs that he was gone be moved. Moshoeshoe added that he ignored what people were saying instead he travelled to Zimbabwe and he did not communicate with his party until it was too late and already a decision had been taken. Formula One will experience one of its darkest days ever as the first night race will parade through the streets of Singapore. No doubt, this will be challenging for many as this will test the mental agility. The race has already demanded unusual preparation. Mclaren driver Lewis Hamilton said they will get up at early afternoon for breakfast and will go to bed at 3am. Hamilton’s rival, Kimi Raikkonen, said he prefers a night race as he is “more awake in the evenings than in the mornings”. BMW’s Nick Heidfeld agreed with Raikkonen said he is more of a night person than an evening person. As if a night race was not hard enough, forecasters are predicting it to rain, as the region is known for its monsoon downpours. However, track officials said the night time will not pose any major challenges. The National Executive Committee (NEC) of the ANC has decided, after careful debating, to recall President Thabo Mbeki, after the NEC met over the weekend. ANC President, Jacob Zuma, addressed the media at the Luthuli house today. Zuma said the country needs a strong and united party at the helm of government, capable of galvanising support for the government’s development agenda. Zuma also said the ruling party needs to sustain the confidence of the people of the ANC and its government. Zuma continued by praising Thabo Mbeki, saying he is a “discipline cadre of the movement” and will readily accept and abide by any decision taken by the organisation. Zuma noted the achievements of government during Mbeki’s reign. He said the ANC has created conditions for a sustained expansion of the South African economy since the Second World War with the rate of growth averaging over 4.5% a year since 2004. “Comrade Mbeki also succeeded in placing Africa in the forefront of international debates. He made his mark in promoting an African renewal as well as South-South co-operation, between our country and the developing world.”, Zuma continued. Zuma said there was no reason for South Africans to be apprehensive. He continued by saying the transition will be managed with care and precision. Zuma said they will call upon ANC Ministers and Deputy Ministers, to continue their work and serve the people of the country, supported by the Public Service. During the early hours of the morning a cash transit heist took place at a BBP garage in Salt River road. Members of the Group 4 security officers were confronted by four armed men who open fire on them. Several shots were fired and two of the Group4 security guards were injured during the robbery. One of the security guards got injured in both his legs while the other one got injured in his shoulder and both his legs. Both guards are reported to be in hospital in a stable condition. The four suspects went away with an undisclosed amount of money. The City’s traffic department has urged matriculants to be more cautious on the roads as more car crashes involving teenagers are expected. Traffic department spokesperson, Merle Lourens, has appealed to teens not to drink and drive during the holiday season. About 300 backyard dwellers have returned to the open piece of land on Lansdowne Road, next to the Fezeka municipal buildings and are going to start building their shacks there. The community has twice tried to occupy this land, yesterday and last weekend, and the dwellers were on both times driven away at gunpoint by the police and metro cops. Anti Eviction Campaign co-coordinator Mcedisi Twalo says this is very unjust as they have with them their "red cards" showing that they joined the housing waiting list many years ago, and besides, they have been promised this piece of land as backyarders by many different politicians especially just before elections. “The community has vowed to go to the land every day and try to erect their shacks, until they succeed in getting the right to live on the land permanently”. I have no doubt that you are aware of the announcement made yesterday by the National Executive Committee of the ANC with regard to the position of the President of the Republic. Accordingly, I would like to take this opportunity to inform the nation that today I handed a letter to the Speaker of the National Assembly, the Honourable Baleka Mbete, to tender my resignation from the high position of President of the Republic of South Africa, effective from the day that will be determined by the National Assembly. I have been a loyal member of the African National Congress (ANC) for 52 years. I remain a member of the ANC and therefore respect its decisions. It is for this reason that I have taken the decision to resign as President of the Republic, following the decision of the National Executive Committee of the ANC. I would like sincerely to thank the nation and the ANC for having given me the opportunity to serve in public office during the last 14 years as the Deputy President and President of South Africa. This service has at all times been based on the vision, the principles and values that have guided the ANC as it prosecuted a difficult and dangerous struggle in the decades before the attainment of our freedom in 1994. Among other things, the vision, principles and values of the ANC teach the cadres of this movement life-long lessons that inform us that wherever we are and whatever we do we should ensure that our actions contribute to the attainment of a free and just society, the upliftment of all our people, and the development of a South Africa that belongs to all who live in it. This is the vision of a South Africa that is democratic, non-racial, non-sexist and prosperous; a country in which all the people enjoy a better life. Indeed the work we have done in pursuit of the vision and principles of our liberation movement has at all times been based on the age-old values of Ubuntu, of selflessness, sacrifice and service in a manner that ensures that the interests of the people take precedence over our desires as individuals. I truly believe that the governments in which I have been privileged to serve have acted and worked in the true spirit of these important values. Based on the values of Ubuntu, the significance of which we learnt at the feet of such giants of our struggle as Chief Albert Luthuli, OR Tambo, Nelson Mandela and others, we as government, embarked, from 1994, on policies and programmes directed at pulling the people of South Africa out of the morass of poverty and ensuring that we build a stable, developed and prosperous country. Accordingly, among many things we did, we transformed our economy, resulting in the longest sustained period of economic growth in the history of our country; we introduced an indigent policy that reaches large numbers of those in need; we made the necessary advances so as to bring about a developmental state, the better to respond to the many and varied challenges of the transformation of our country. This is, of course not the occasion to record the achievements of government. An additional critical few are however worth mentioning. They include our achievements with regard to many of the Millennium Development Goals, the empowerment of women, the decision to allow us to host the 2010 FIFA Soccer World Cup and our election as a non-permanent member of the UN Security Council two years ago. Despite the economic advances we have made, I would be the first to say that even as we ensured consistent economic growth, the fruits of these positive results are still to be fully and equitably shared among our people, hence the abject poverty we still find coexisting side by side with extraordinary opulence. Importantly, we had an obligation to ensure that democracy becomes the permanent feature of our lives and that all our citizens respect the rule of law and human rights. This is one of the cornerstones of our democracy, which we have consistently striven to protect and never to compromise. We have also worked continuously to combat the twin challenges of crime and corruption, to ensure that all our people live in conditions of safety and security. We must admit that we are still faced with many challenges in this regard. Work will therefore have to continue to strengthen and improve the functioning of our criminal justice system, to provide the necessary resources for this purpose, to activate the masses of our people to join the fight against crime and corruption, and to achieve new victories in the struggle for moral regeneration. With regard to the latter, our successive governments from 1994 to date have worked consistently to encourage the entrenchment in our country of a value system whose observance would make all of us Proudly South African, a value system informed by the precept of Ubuntu – umuntu ngumuntu ngabanye. Among other things this means that we must all act in a manner that respects the dignity of every human being. We have sought to advance this vision precisely because we understood that we would fail in the struggle to achieve the national and social cohesion that our country needs, as well as the national unity we require to enable us to act together to address the major challenges we face. Since the attainment of our freedom in 1994, we have acted consistently to respect and defend the independence of the judiciary. For this reason our successive governments have honoured all judicial decisions, including those that went against the Executive. This did not mean that the Executive did not at times have strong views which we would have publicly pronounced upon. The central approach we adopted has always been to defend the judiciary rather than act in a manner that would have had a negative impact on its work. Indeed, on the infrequent instances when we have publicly expressed views contrary to those of the judiciary, we have done so mindful of the need to protect its integrity. Consistent with this practice, I would like to restate the position of Cabinet on the inferences made by the Honourable Judge Chris Nicholson that the President and Cabinet have interfered in the work the National Prosecuting Authority (NPA). Again I would like to state this categorically that we have never done this, and therefore never compromised the right of the National Prosecuting Authority to decide whom it wished to prosecute or not to prosecute. This applies equally to the painful matter relating to the court proceedings against the President of the ANC, Comrade Jacob Zuma. More generally, I would like to assure the nation that our successive governments since 1994 have never acted in any manner intended wilfully to violate the Constitution and the law. We have always sought to respect the solemn Oath of Office each one of us made in front of the Chief Justice and other judges, and have always been conscious of the fact that the legal order that governs our country was achieved through the sacrifices made by countless numbers of our people, which included death. In this context it is most unfortunate that gratuitous suggestions have been made seeking to impugn the integrity of those of us who have been privileged to serve in our country’s National Executive. Again, as you know, we have often pointed to the fact that our liberation movement has always been pan-African in its outlook and therefore that we have an obligation to contribute to the renaissance of the African continent. All of us are aware of the huge and daunting challenges that face our continent. In the short years since our freedom, as South Africans we have done what we could to make our humble contribution to the regeneration of our continent. We have devoted time and resources to the task of achieving the Renaissance of Africa because this is what has informed generations of our liberators, even before the ANC was formed in 1912. We have done this fully understanding that our country shares a common destiny with the rest of our Continent. I therefore thank the many dedicated compatriots – men and women – who have made it possible for us to contribute to the resolution of conflicts and the strengthening of democracy in a number of countries including the Kingdom of Lesotho, the Democratic Republic of Congo, Burundi, Côte d’Ivoire, Comoros, Zimbabwe, Sudan and elsewhere. We have also done this work conscious of our responsibilities as a State Member of both SADC and the African Union. I would like to thank my colleagues, the many Heads of State and Government on the African continent whose abiding vision is that Africa must be free; that all our countries, individually and collectively should become democratic, developed and prosperous, and that Africa must unite. These African patriots know as I do that Africa and Africans will not and must not be the wretched of the earth in perpetuity. Similarly we have worked to contribute to the achievement of the aspirations of the countries and peoples of the South, conscious of the need for us to act in solidarity and in unity with the billions with whom we share the common challenge to defeat poverty and underdevelopment. Accordingly, I depart the Office of President of South Africa knowing that this country has many men and women who have dedicated their lives to ensure that South Africa, Africa and the countries of the South will, in time, manage to ensure a better world for all of humanity. I depart this Office conscious that the sterling work done by the Presidency, the Ministries and departments, the provinces and local government structures will continue, driven by the determination to achieve the goal of a better life for all. I am convinced that the incoming administration will better the work done during the past 14-and-half years so that poverty, underdevelopment, unemployment, illiteracy, challenges of health, crime and corruption will cease to define the lives of many of our people. I have received many messages from South Africans, from all walks of life, through e-mails, telephonically and through cell phone text messages as well as those conveyed through my colleagues. I thank all of you, fellow South Africans, for these messages. To everyone, and responding to these messages, I would like to say that gloom and despondency have never defeated adversity. Trying times need courage and resilience. Our strength as a people is not tested during the best of times. As we said before, we should never become despondent because the weather is bad nor should we turn triumphalist because the sun shines. For South Africa to succeed there is more work to be done and I trust that we will continue to strive to act in unity to accelerate the advance towards the achievement of our shared national goals. Once more, I thank you most sincerely for affording me the opportunity to serve you and to serve the people of Africa. Thank you, ngiyathokoza, ke ya lebogang, ndo livhuwa, ndiyabulela, ndza khensa, baie dankie, ngiyabonga. Due to failure of any response from Woolworths, the National Woolworths Strike at a meeting on Friday 19 September have decided to extend the notice of strike and served the notice to the company. This means that if workers decide to continue with the strike from Monday it will continue to be a legal protected strike. SACCAWU media liaison Mike Abrahams says, the workers remain committed to their demands and they are willing to struggle for the realisation of it. General meetings will be held throughout the country today where a renewed mandate will be obtained from striking workers to decide on a way forward. Despite many attempts by the company to frustrate, and intimidate striking workers more than 65% of Woolworths stores are affected by the strike. Tony Ehrenreich Provincial Secretary for Cosatu in the Western Cape says Woolworths has the most casual workers who work under the most exploitive conditions and society cannot be complicit in this exploitation by supporting Woolworths. The City of Cape Town Traffic Services has clamped down on illegal taxi operators. In just one day, the City of Cape Town detained 29 illegal taxi operators and issued a total of 114 fines. This included fines for 12 taxi drivers who did not have professional driving permits, 35 who were not carrying their driving licences in the vehicle, and 22 who were driving unlicensed motor vehicles. A minibus taxi with defective brakes, smooth tyres and no number plate was one of several unroadworthy vehicles to be pulled off the road during a series of road safety checks conducted in Mfuleni and Khayelitsha by Cape Town Traffic Services. “These are death traps, not only for the driver and the passengers, but also for other road users," says Merle Lourens, spokesperson for Cape Town Traffic Services. This afternoon in Kempton Park ANC secretary general Gwede Mantashe announced the African National Congress decision to recall President Thabo Mbeki. This follows a meeting of the national executive committee at Esselen Park early this morning. Mantashe says Mbeki has been informed of the decision and hails Mbeki as a loyal member of the movement and he says the ANC’s main purpose now is to retain stability and build unity. Mantashe says the crisis was elevated by the ruling of Judge Chris Nicholson in the Pietermaritzburg High Court in which he said that Mbeki may have interfered with the judicial process. Speaking on behalf of the ANC Mantashe stressed that Mbeki was not being punished and that he would be given space to continue his mediating role in Zimbabwe. He says Mbeki is in charge of the country until he resigns and will be consulted by the ANC. Meanwhile the Democratic Alliance says the ANC has allowed that its own internal power struggles become a crisis for the people of South Africa. Independent Democrats leader Patricia de Lille says the party will like to see a clear plan to deal with the impact that Mbeki’s exist will have on the running of government, service delivery and economic stability. She also said that what South Africa needs now is to give hope to ordinary South Africans that the enormous challenges we face will be dealt with. Mantashe says the parliamentary process will now kick in where the acting president will be selected. But as for Deputy President Phumzile Mlambo-Ngcuka’s plans to resign in the wake of the developments, Mantashe said the ANC had not yet been informed of the step. 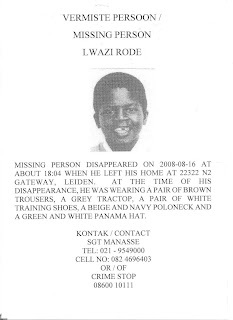 Lwazi Rode was last seen at about 6pm on the 16 August 2008,when he left his home at 22322 N2 Gateway, Leiden. At the time of his disappearance he was wearing a pair of brown trousers, a grey tractop and a pair of white training shoes with a white panama hat. The UDM Youth Vanguard condemns the improper behaviour and unwarranted insults that the African National Congress Youth League and its affiliates are perpetrating on a daily basis. The UDM youth says if the ANCYL aren't busy humiliating democratic institutions they are organising rallies that result in looting and vandalism. He says the UDM distance themselves from that kind of behaviour because it does not reflect their values, or the values of the majority of South African youths. As future leaders they believe that, elders have to be treated with respect and dignity no matter what. A grandfather was allegedly raped and assaulted by his own grandson who was apparently under the influence of tik. Kleinsmith says that the substance is extremely dangerous and people who use this substance are more susceptible to violence and crime. The man has been admitted into hospital. # Strandfontein Mets Softball club is having fun in the parks of Strandfontein every week from 11am to 1pm. Catch them on the 21st of September at Mainstay Way Park, Admirals Hill and 28 September at the park situated between Watussi and Rotterdam street, Bayview. For more information you may contact Beulah Poole on 082 740 2794 or Margi Hill on 078 544 8164. # Youth from Woodlands and Lentegeur West are invited to take part in hip hop classes and life skills programmes, every Friday at Aloe Junior High school from 3pm to 5pm. This project is hosted in conjunction with the Sector Crime Forum. For details call Kamen Desmore on 073 122 8376. # The Cafda clothing production project is offering courses in pattern making, basic sewing and advance sewing at the Mary Atlee Centre in Retreat Road. For more details you may call Christine or Cynthia on 021 706 2050 or on 076 050 1492. If you would like our community information network to announce your community notice, submit a paragraph detailing the information of your event or project. 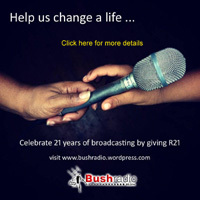 Send those details to news@bushradio.co.za or fax them to 021 448 5451. You can even give us a call on 021448 5450 . Don’t forget notices that can uplift the community will be broadcast free of charge. The City of Cape Town together with the South African National defence force will tomorrow hold a reframing ceremony with the intention of remembering the Battle of Square Hill. The Battle of Square Hill was fought during World War I when Turkey decided to side with Germany. The battle, on 19 September 1918, saw the first battalion of the Cape Corps capturing 181 Turkish prisoners, eight officers, about 160 soldiers of lower rank, as well as an enemy field gun. Only one Cape Corps member was killed and another wounded. The 12 452 South African servicemen who died in the First World War, 3 901 were Black, Indian or Coloured. City of Cape Towns Robert McDonald says the ceremony is very important in the history of the country because the man who died they died for cause. The City has released a list of Cape Town’s Top Ten traffic offenders. The traffic department said roadblocks have been conducted on a daily basis to clamp down on motorists who have outstanding warrants of arrests. Traffic Department spokesperson, Merle Lourens, said the most wanted traffic offender on the road, has more than R33 600 of outstanding warrants of arrest against his name. Lourens continued saying the department has a total of 348 outstanding warrants totalling R155 000. The police are requesting the assistance of the public in order to find 17-year old Aqeebah Jacobs. She was last seen on Tuesday, 16th September 2008 at about 07:30 near Hans Strijdom Avenue. She was wearing a red long sleeve t-shirt, black skinny jeans, black jacket and grey shoes. She is slender build, 58kg and about 1.50m tall. The City of Cape Town have identified 12 hectares of land in Scottsdene, for the development of low cost housing. The deal has been finalised and the City will now appoint consultants, for the development outlay. The City expects to build 6-hundred-and-83 houses. Councillor Dan Plato, Mayoral Committee member for housing, said the target market for the new housing development are people on the council’s housing waiting list, particularly those who were longer on the waiting list. Plato continued by saying the City has seen a dramatic increase in numbers of backyard communities. Officials from the Department of Environmental Affairs and Tourism’s marine and coastal management division and the South African National Parks this week arrested four alleged poachers in the Cape Point area during a joint enforcement patrol. A total of two-thousand-616 abalone was confiscated and one vehicle was seized. Abalone shucking tools and four sets of diving equipment including snorkels and flippers were also confiscated. The first arrest happened around 17:00; yesterday 17 September 2008, near Smitswinkel Bay after the suspect was spotted in the area. A total of 122 abalone was confiscated. In a separate incident at 6:00 this morning, 18 September 2008 another person was arrested near the Simons Town police station after officials inspected a vehicle and found a total of 1800 abalone. The vehicle was also confiscated. An hour later, at 7:00 this morning, three alleged poachers were arrested in the Cape Point area after observations were made of illegal diving activities. A total of 694 abalone was confiscated. City of Cape Town’s Carol Moses says all suspects are held at the Simon Town police station and are expected to appear in the Simons Town Magistrate court on poaching-related charges. Moyo completed specialised crosses in diplomacy in the United States of America and India. Yesterday morning a Memorial Service in honour of Deputy Ambassador of Washington DC Derrick Moyo. Moyo passed away last week Wednesday. Foreign Affairs Minister Ronnie Mamoepa says “it is sad to announce the death of South Africa’s Deputy Ambassador to Washington DC Derrick Moyo. Petroleum Company, BP and the Automobile Association (AA) of South Africa has joined forces in aid of motorists, to help save fuel and minimise their cars’ impact on the environment. Joe Mahlo, representative for BP, said this is an exciting partnership that will provide safer motoring. Mahlo said the partnership came about a while back, when the petroleum company launched a new product. However, Mahlo continued that the AA were not willing at first, but when the necessary tests were done, the association jumped on board. Police officials managed to arrest the Camps Bay criminals that have been ducking the system for awhile. Friday morning SAPS and Metro Police found the group living in the Kloof Neck area. They were arrested for both recent and previous crimes. Senior inspector Shawn Smith says four people were arrested. The others were arrested for car breakings in the and around the Camps Bay area and also want for cases that are pending. The Treatment Action Campaign and other organizations from civic society will release a report on the current positions regarding the conditions in the refugee’s camps of the displaced foreign nationals. Representatives from the following organizations - Cosatu, Sonke Gender Justice, EDICo, AIDS Law Project, PASSOP and TAC will release a report jointly compiled and collated by the South African Human Rights reflecting the current conditions of displaced people in the Western Cape. This report highlights problems concerns and challenges with regards to humanitarian support, education, reintegration, documentation, employment, violence and socio-political problems within communities. TAC’s Scott Dunlop says the report provides a lot of information that can be of interest to government and other parties involved in the xenophobia attacks .He added that the report is up to date. “This report aims to persuade government to hold off closing camps of the refugee’s camps until they provided a better plan for the integration and repatriation ’. Cosatu says that it is extremely concern about the news that the National Prosecuting Authority is to appeal against the judgment of Judge Chris Nicholson on Friday while of course they have the legal right to appeal. The Union believes the issue is primarily intended to drag up the legal process this already long legal process even longer.Cosatu says the NPA’s appeal would be a futile bid to appeal against judge Nicholson judgement. Cosatu’s spokesperson Patrick Craven says even if the NPA has a legal case, the political fallout of the judgement which severely criticised the NPA and government ministers for interfering politically in the judiciary processes and surely that discredited the NPA so much that they can not with any credibility continue this appeal. SACCAWU reported that between 60-80% of Woolworths workers took to the streets countrywide yesterday when they heeded a call for union rights at the stores. SACCAWU also said Johannesburg, Pretoria, Durban and Cape Town were hit the hardest by the strikes, but they have not received any reaction by management. Spokesperson for SACCAWU, Mike Abrahams, said the only problem was with mall owners, who refused their members and striking workers, from picketing front of the Woolworths stores. The Minister of State in India, Shri Anand Sharma, recently visited the country, to launch the new Centre for Indian studies in Africa at Wits University. Sharma said it was an honour to visit the country and to launch the centre, which is the first of its kind in South Africa. Sharma said the institute is befitting, regarding the strong relationship between Africa and India. Sharma says “I am truly honoured and privileged to be with you today at the launch of the centre of Indian studies. It will well be the first centre of Indian studies in the continent of Africa, given the special relationship that Indian and African continent have had over centuries, this is a momentous occasion"
The City of Cape Town says it will seek a court order allowing it to forcibily remove 141 families who have been squatting along Symphony Way in Delft since Febuary. The City says the squatters are taking up space next to a key secondary road that has been closed to traffic. However the Symphony Way squatters led by the Anti Eviction Campaign said they refuse to move unless they are provided with proper housing. Anti Eviction Campaign’s Western Cape coordinator Ashraf Cassiem says the community in Symphony Way has no idea this is being attempted, “it’s ludicrous that whoever wants to attempt to evict us again without providing adequate housing”. However Hans Smith, Director for the City’s housing, says the City will not give houses to people on the basis that they squat or invade houses illegally. He also says the city does however acknowledge some people may now or in the foreseeable future, qualify for houses. Smith says the City is adamant that these people should move to the alternate accommodation arranged by the City. Smith says if these people refuse to move, the City has no alternative but to go and get an eviction order. He says city has already stared the process. A row has erupted between the Democratic Alliance and Bitou Municipality over money that the Municipality paid ANC member, Sipho Kroma, for his hotel accommodation. 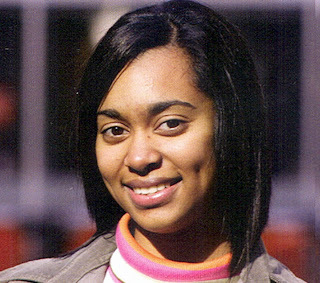 Kroma made eight trips to Cape Town between 2004 and 2006. The DA’s Robin Carlisle said it is unacceptable and unlawful that Bitou has paid for the bill. Carlisle continued by saying it is unacceptable and irregular and also a criminal offence regarding the Municipal Finance Act. Bitou Mayor Lulama said this is just another smear campaign by the DA. The reports that the two South Africans held by rebels in Nigeria have been released are false. This follows reports by the foreign affairs spokesperson Ronnie Mamoepa saying that they have not gotten any confirmation from the South African High commissioner to Nigeria about the release of the two South Africans. Dan Laarman and Robbie Barry have not been released.Mamoepa said that the South African High commissioner has denied rumours linked in the media that the two South Africans have been released from the Niger delta. But he said that the High commissioner from South Africa to Nigeria Sticks Sifingo says he remained optimistic about the release of the two South African and that he hopes that they would be released sooner rather than later. He added that they will continue to work hand in hand with the Nigerian government until the two South Africans are released. twenty-five for alleged robbery. The incident dates back to the 6th of September 2008. Apparently two armed males stormed in a business place, stock road in Phillipi East. At the time of the incident the Victim was still busy with cash up in her office. The two men approached the victim in her office, pointed her with a fire arm and demanded money. Inspector Nomdumiso Paul says “the two men fled the scene on foot in an unknown direction with the undisclosed amount of money.” The two men will appear in Athlone Magistrates Court today. It is reported that the cheapest 2010 World Cup ticket will cost 140-rands. The chairperson of the 2010 Local Organising Committee Irvin Khoza says they agreed to an exchange rate of seven-rands to one United States dollar. The LOC committee will bear the cost if the exchange rate goes above that mark. The rate of exchange will be in force for next June's Confederations Cup as well. Tickets for the Confederations Cup will be on sale on 23 November, the day after the draw for the competition. Tickets for the World Cup finals go on sale in January next year. The DA believes there is away out of the impasse created by the Pietermaritzburg High Court’s ruling on Friday and believe that that a Judicial enquiry must be appointed to get to the bottom of the arms. Four suspects believed to have been involved in a hijacking in Mowbray earlier this month were arrested yesterday and will appear in the Cape Town Magistrate’s court tomorrow facing charges of possession of unlicenced firearm, ammunition and possession of a stolen vehicle. Yesterday members Woodstock Police station spotted a Silver VW Polo in the Queens Park Avenue with four occupants during their routine patrols in the Salt River area. As the police were approaching the VW Polo, it drove off in high speed police chase this vehicle and pulled it off on the N2, at the Liesbeeck Park road direction Somerset. Due to preliminary investigation police discovered that the vehicle was hijacked in Mowbray early this Month. During the arrest, police found a 38 special revolver, firearm and some live ammunition. None of the suspects had a license to own the fire arm. Further investigation proved that the fire arm was reported stolen at Philippi East Police Station in February this year. The suspects are estimated between the ages of 25 and 36 years old. They are all due to appear in the Cape Town Magistrate court tomorrow. The brightly painted red, green, blue and yellow mobile clinic is proving to be a good idea. The Tutu Tester train is a mobile HIV and Aids testing clinic that travels around to different communities. This is an innovative programme that combines HIV testing along with screening of other common diseases; like diabetes and hyper tension. The signing of yesterday’s framework, to unite the government of Zimbabwe will be marked as one of the most important days in the country’s history. The new agreement will split power between the Movement for Democratic Change and Zanu-PF, in a bid to end Zimbabwe’s political meltdown. South African President Thabo Mbeki has facilitated the talks, and has been praised for his heroic efforts during the facilitation. Mbeki said there will be hard work ahead for the two leaders, as they begin on the reconstruction and reconciliation process of the new government. Mbeki said the two leaders need to implement the following agreement and start paving a new political direction for the country. The Independent Democrats have called for a motion of no confidence in the Mbeki administration .The party says it feels that it has to submitte the motion of no confidence again after seeing court judgement on Friday. The ID says Mbeki’s meddling in NPA case violets its independence. The party has also sent a letter to the president requesting a commission of inquiry be set up by the president to investigate the arms deal. The party has also urged the ANC to support their motion of no confidence. Independent Democrats leader Patricia de Lille says Mbeki’s interference in the NPA case should stop and he should resign with his whole cabinet and let justice prevail. Somalians are fearing for their lives following the muder of a somalian shop assistant. According to police, a man had come into the shop pretending to want to borrow a lighter, however when the assistant gave the man the lighter, he refused to return it. It has been reported that the man left the store and returned with three armed men, who then demanded that the assistant hand over the money in the till. They will appear in Bellville Court tomorrow on a charge of murder and robbery. World body Fifa’s President Sepp Blatter says he is disappointed with the recent performance of the national team of the 2010 World Cup host country South Africa. Blatter told journalists after a visit to the building site of Cape Town's Green Point Stadium that it was "incredible" that Bafana Bafana had gone from being the African Cup of Nation champions in 1996 to failing to even qualify for the crunch tournament in 2008. He says now is the last chance to do something about the situation. News that ZANU-PF’s Robert Mugabe and MDC leaders, Morgan Tsvangirai and Arthur Mutambara have finally succeeded in reaching a mutually-agreeable power-sharing deal, which was signed today, must be welcomed – particularly in light of reports that under the agreement, Mugabe’s executive powers will be greatly reduced. Spokesperson Lindiwe Mazibuko says “ While the signing of this deal is the first significant ray of hope for the future stability – both political and economic – of our northern neighbour, the Democratic Alliance (DA) nevertheless remains concerned about the durability of this deal, as well as the dangerous precedent it will set for the future of ballot-based regime change in Africa. They hope, however, for the sake of the people of Zimbabwe, whose country has been crippled by years of socio-economic turmoil and political violence at the hands of Mugabe’s repressive regime, that the signing of today’s agreement, however flawed, will signal the beginning of a new era of peace, stability and prosperity in the country. Along with the Anti-Eviction Campaign and the Joe Slovo Task Team, ABM WC will be attending the first ever City Wide Shack Fire Summit that is taking place on Monday 22 September 2008 to find new ways of preventing fires in our communities. The summit will also cover how this situation will be taken care of country wide. Another worker has been killed in a mining accident. This morning’s death occurred at Anglo Platinum‘s number one shaft at Amandelbult in Rustenburg. This brings the total number of mineworkers who have died this year to 121 this year. At Amandelbult alone six people have been killed. The National Union of Mineworkers calls on the company to improve safety standards. Thousands of Council tenants on the Cape Flats will now be able to sort out their housing queries more easily thanks to the appointment of community officers by the City of Cape Town. The City has appointed a company to facilitate communication with the tenants of Council flats and hostels in Langa, Nyanga, Gugulethu, Ocean View, Manenberg, Bishop Lavis, Scottsdene and Macassar. She added that ,they will be going out and visiting people at their homes explaining what needs to be done explaining the benefits that there are for them when they visit the offices. As from September, First Community Management Services will deploy 70 community officers to pay door to door visits in order to help tenants with their rental queries and housing maintenance and safety issues. According to Blouw, the success of this two-year pilot project will determine its rollout to the rest of the city. The community officers will also be conversant in the language of the areas in which they are working and will carry official identification cards. If a tenant is at work during the day, the community officer will leave a card with contact details. Tenants will thus be able to contact them after hours with any rental queries or to report any health or safety maintenance issues. The officers will then see to it that the City’s maintenance department handles these requests within 30 days. The officers will also help to identify the lawful occupants of each housing unit, make sure that leases are in order and facilitate the signing of contracts. They will ensure that tenants receive proper monthly accounts and facilitate the payment of rentals. Tenants with financial difficulties will also be advised how to reschedule their debts or apply for indigent grants or rates rebates. If the officers spot any unlawful activities occurring in Council properties, including illegal drug and alcohol trafficking, they will report these immediately to the Metro Police. A request has been put forth by ANC Member of Parliament Peter Hendricks, to allow cash-strapped motorists to be able to obtain a motorcycle licence quicker than usual. However the traffic department spokesperson Merle Lourens said the traffic department has no view whether or not it is a good idea, as a motorcycle’s controls are a lot different to a car. Maritzburg United beat Kaizer Chiefs 3-2 in a high tension game. United defender Gary Goldstone should have been shown the red-card for elbowing Amakhosi's striker Tshepo Bulu, breaking his nose in the process. The game was played at Durban's Chatsworth Stadium. Chiefs' loss means that they are still on zero points after two Absa Premiership matches, while Maritzburg are on four points. The Maritzburg win puts them in the third place in log standings while Kaizer Chiefs is on the bottom with no win. In a press conference after the game Chiefs coach criticised United's coach, Gordon Igesund, for "instructing his players" to implement robust tactics and bone-crunching tackles in Amakhosi's second successive defeat at the start of the Premier League campaign. Maritzburg assistant coach Clinton Larson said,” This is nothing more than a case of sour grapes and an outrageous allegation," said Larson. "If the Chiefs coach can't take the heat, he should not be in the kitchen." FIFA President Sepp Blatter, has arrived in Cape Town today, to assess the progress for next year’s FIFA Confederations Cup and the 2010 FIFA World Cup. Blatter is accompanied by FIFA Secretary General Jerome Valcke. Blatter will now be able to witness the progress being made to Green Point stadium, which just needs a roof and is expected to be completed by mid-December 2009. The Independent Democrats leader Patricia de Lille will tomorrow submit a motion to Parliament calling on President Thabo Mbeki to institute a commission of inquiry into the Arms Deal. Referring to the ruling in the Zuma case in the Pietermaritzburg High Court, De Lille pointed to what she called “the undeniable fact” that without a full inquiry, the cloud of suspicion hanging over the heads of ANC leaders would continue to grow. De Lille challenged the ANC to support the motion of no-confidence. The motion of no confidence is yet to be table in parliament by political parties. In the rush to boost SAPS number of reservists, the DA believes that the SAPS is compromising the quality of training. According to a parliamentary reply - reservist training now consists of only 113 hours or 14 eight-hour days, and firearms training a wholly insufficient two days. The current level of reservists’ training is a far cry from the six months of institution-based theoretical training and six months of field training that permanent SAPS members are required to undertake. At about four-o-clock this morning and armed response company responded to an activated panic alarm at a West Cliff home in Hermanus, where they found the body of eighty-four-year-old Lulu Hewitson. The police believe that the motive for the attack is house-breaking with intension to steal. The suspects fled the home and have not yet been arrested.